Dia 30 de Janeiro / Praia de Razo - sessão de treino! Javi Diaz, NEWS TEAM kayaksurf.net, envia-nos o convite em nome do Club Kayaksurf Galiza para uma sessão de treino ne bonita praia de Razo - onde irá decorrer o Campeonato Galego nos dias 4 e 5 de Junho. Links mais em baixo para eventuais contactos! 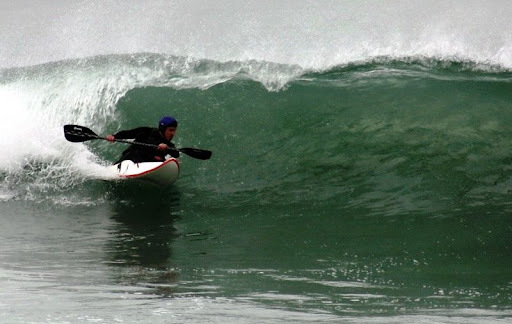 Javi Diaz, NEWS TEAM kayaksurf.net, sent us the invitation for one surf training session in the beatiful Razo Beach, Coruña, Spain. 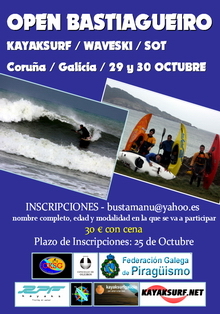 It will be next January 30th with full presente of Club Kayaksurf Galicia and all the board surfers community. Nice! 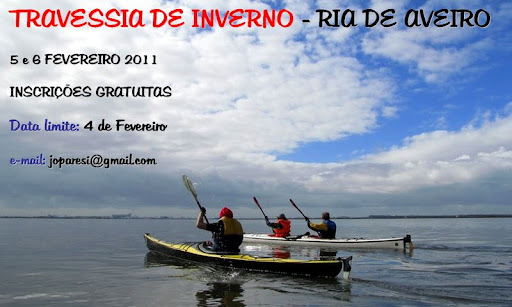 El domingo día 30 de Enero en la playa de Razo , Carballo, el Club Kayaksurf Galicia organiza la 1º gran cita del 2011 de este deporte en nuestra comunidad. Aprovechando la invitación de los surfistas locales nos reuniremos desde las 10 de la mañana en la playa que será sede del campeonato gallego el próximo 4 y 5 de Junio. Será una buena oportunidad para comprobar el estado de forma de nuestros surfistas así como para conocer las nuevas tendencias y los últimos modelos. Esta no será una prueba competitiva sino una concentración amistosa. Obrigado Javi e boa sorte para a semana! 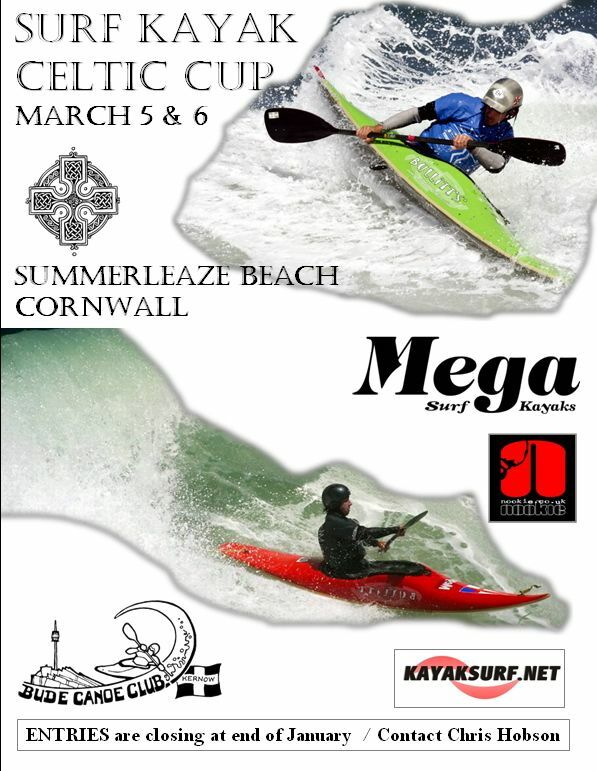 Promoted by Chris Hobson, Cornwall will receive next 5th and 6th of March the Celtic Cup (cool name). 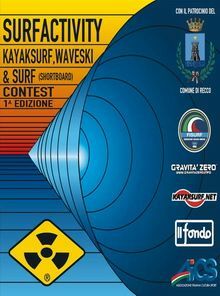 Get in touch with Chris on Facebook where you can find all the detais about the contest that kayaksurf.net also support. You just have to click on the poster! Chris Hobson words: "Hey everyone. As you all probably know by now, I am planning to run a competition here in Bude. Am going for “saturday 5th and sunday 6th of march with the re run date to be decided. 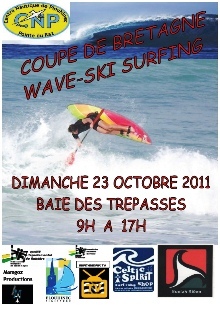 It is going to be in a home international style, with 4 teams, but there is more to it than surfing! I want this to be a competition that the top guys can compete at, as well as people who are fairly new to the sport, a fun competition, with serious bragging rights!" Entries till the end of January!! Xaver Walser, PARTNER kayaksurf.net, relembrou-nos há poucos dias a história incrível de Neal Stephenson. Agora, envia-nos mais uma sugestão para as NEWS que conta igualmente com a sua realização e produção. A história de Neal Stephenson merece todo o apoio e promoção. Veja o vídeo com atenção. Muito bom. Neal Stephenson lost his leg in a shark attack when he was 22 years old. In this inspiring video Neal tells us about the attack, what happened immediately afterwards and how the rehabilitation process progressed. He candidly shares with us intimate thoughts on how he dealt with this setback and how he is leading his life today - truly an inspiring story of a Life without Limitations. - words by Mauch Knee® by Össur - Neal Stephenson's story. - One more video with the signature of Xaver Walser / www.subgraviti.com. 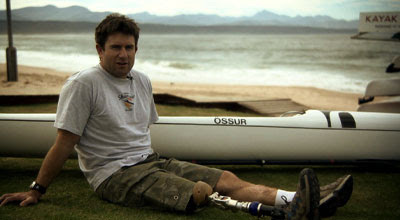 See the video and the incredible story of Neal. Entrevista com a Presidente da Associação Mundial de Waveski / Muito Bom!! Grande forma de iniciarmos a ronda de entrevistas para 2011! 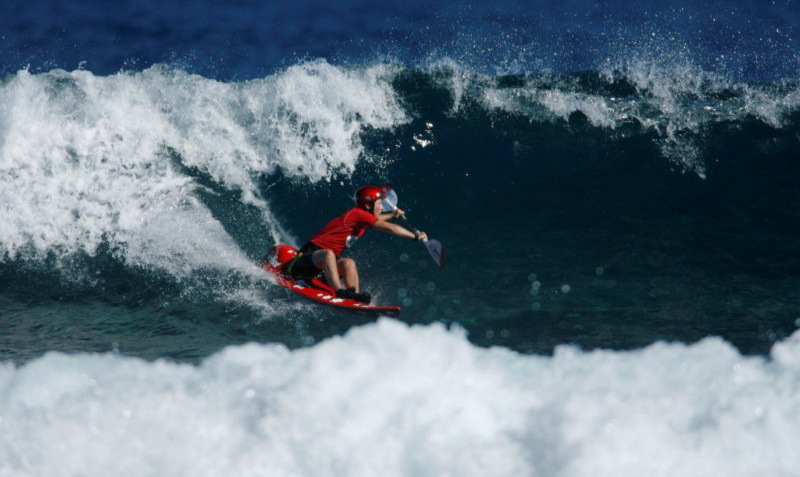 Começamos com Jackie Dillon onde a australiana nos dá a conhecer a Associação Mundial de Waveski, as relações com a Federação Internacional de Canoagem, com a WSKA e como será o Mundial deste ano que se realiza no Ocean Spirit em Portugal. Clique em baixo e leia! 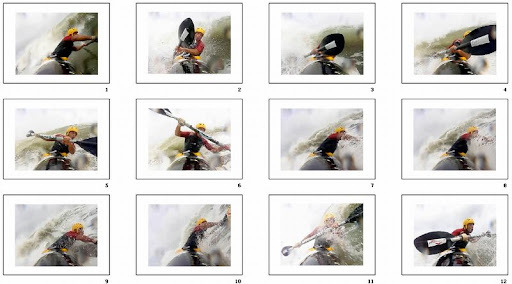 Great way to start this year's interviews on kayaksurf.net! Jackie Dillon, gave us a great interview where she talks about the WWSA, the ICF, the WSKA, the Worlds in Portugal among many other subjects. Click below and check the english (light) version! É o vídeo final de uma grande compilação elaborada por Dessie McGlinchey - NEWS TEAM kayaksurf.net. Dessie colocou online cinco grandes videos com surfadas memoráveis da selecção norte-irlandesa de kayaksurf. Depois temos outro amigo do kayaksurf.net, Bernie Huiglsoot, também da nossa NEWS TEAM, a surfar em grande na Austrália. Vejm e cliquem mais em baixo para ver tantos outros! 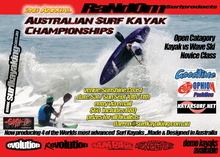 It's the final episode of a great video compilation made by Dessie McGlinchey, NEWS TEAM kayaksurf.net. 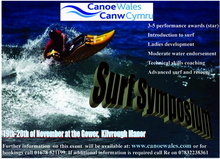 This last one is already online a few days ago on our KAYAKSURF VIDEOS section. 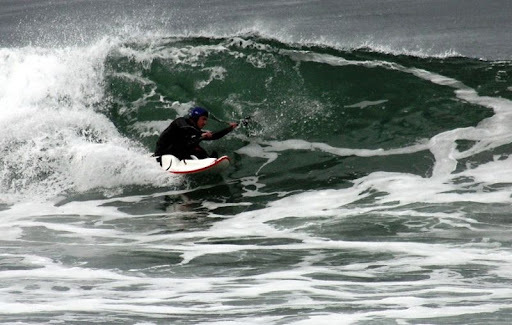 Then, we have Bernie Huigsloot, another kayaksurf.net friend, with great waves in Australia. Enjoy and check out for more! 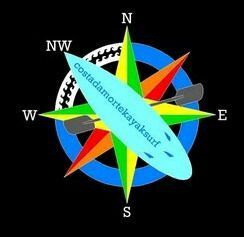 Kayaksurf & Waveski / New blog on the block! 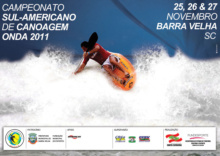 Steve Farthing inaugura o seu blog dedicado ao que mais gosta: surfar! É um dos mais activos elementos da nossa NEWS TEAM e, directamente da Austrália, tem-nos enviado fotos e vídeos absolutamente memoráveis. 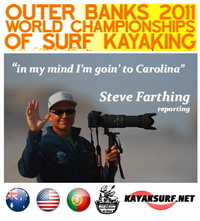 Steve fez também para o kayaksurf.net toda a cobertura do Mundial de Waveski 2009 e agora, inaugura o seu blog onde vai igualmente publicando as suas histórias. Mais um acrescentado às nossas secções LINKS e WAVESKI. Basta CLICAR na imagem de cima visitar! It's one of our most active NEWS TEAM elements. Directly from Australia, Steve has sent us fabulous photos and videos - with the precious collaboration of Ming ;) Now, Steve has his own blog where he will also publish his stories. 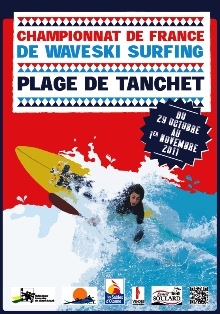 It's already added to our LINKS and WAVESKI sections. Just CLICK on the picture above and visit! José Morais / Quiksilver Technical Figueira da Foz / Grande surf!! Great surf with José Morais in Figueira da Foz, Portugal. Associated to Figueira Kayak Clube, José is a regular presence here on kayaksurf.net. 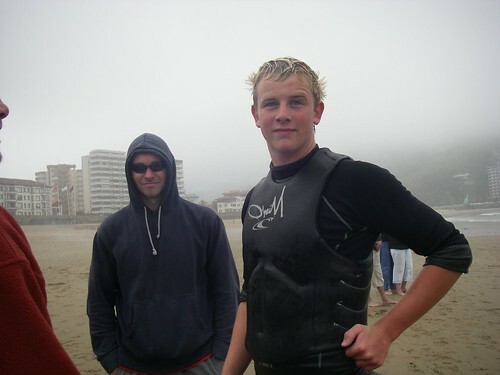 He has always a great attitude and surf with is contagious simpathy. The photos are from João Vaz, also from the same Cub. Enjoy it! SLIDE-SHOW FULL OF GREAT PHOTOS! E que tal um passeio pela Ria de Aveiro? João Paulo Simões, NEWS TEAM kayaksurf.net, promove a primeira travessia de 2011 em kayak de mar e convida-nos a um passeio pelo sector norte da Ria de Aveiro. De acordo com o JP, a intenção é "... explorar alguns canais e descobrir pequenos cais e ancoradouros que servem a pesca artesanal e a agricultura da ria. Como Zona de Protecção Especial, a ria de Aveiro alberga em pleno Inverno milhares de aves aquáticas, factor de interesse acrescido para navegar nestes habitats ricos em biodiversidade". Acrescente-se ainda que este ano, esta travessia terá um cunho puramente solidário. Esta faceta, irá estender-se a outros passeios e encontros informais organizados pelo João Paulo com o objectivo de contribuir para um projecto de desenvolvimento que será oportunamente divulgado. Segue o programa e o convite! João Paulo Simões, NEWS TEAM kayaksurf.net, invites us this time for a seakayak tour of Ria de Aveiro (Portugal central west coast). This city has beautiful water channels and it's considered the portuguese Venice. This tour will be next February 5th and 6th. You can check HERE great PHOTOS of Aveiro area. This event is totally FREE. If you are interested, get in touch with João Paulo by his mail: joparesi@gmail.com . A inscrição é gratuita, mas necessária, por questões de planeamento. Será apenas solicitada uma pequena contribuição pecuniária para ajudar um projecto de desenvolvimento a anunciar.